Morningstar spotlights research on the behavioral barriers that derail Americans from saving for retirement. Complexity drives inaction when it comes to retirement saving. Is saving enough money to live off in retirement as important as preserving your health? If so, why then do employees re-enroll in their health plan annually, but set and forget their 401(k) plan choices when they first join a company? That point, made by Morningstar’s head of retirement research, David Blanchett, is but one of many behavioral research insights that he and Steve Wendell of financial guidance site HelloWallet (a Morningstar subsidiary) make in a wide-ranging interview in the June/July issue of the investment research firm’s magazine. A common theme emerging from the interview with the Chicago-based firm’s director of policy research, Scott Cooley, is that temporal myopia — a bias to the present — and procrastination stack the deck against adequate retirement savings, barring plan-design workarounds to these normal human frailties. So the question is: How can policy overcome this tendency? A very blunt approach Cooley asks about involves forced savings to the degree employed in places like Australia or Chile. While we have a lesser degree of forced savings through Social Security, Blanchett says U.S. politics make it unlikely we achieve the greater extent of forced retirement savings in other countries. But “we can get most of the way there by defaulting individuals,” adds Wendel, referring to America’s largely employment-based system, and the increasingly common auto-enrollment that companies with 401(k) plans employ. That’s why Blanchett emphasizes the idea of treating retirement enrollment like health insurance enrollment, which is annual. Wendel’s response is not so much to make it harder to do that but to make it easier to leave their retirement funds fully invested. “Rather than trying to restrict choice, rather than punitively penalizing them for taking money out, why don’t we make the default be: ‘OK, your account balance will roll over,’” says Wendel, referring to a system that automatically rolls the funds to a different trustee used by the new employer, or to an IRA. Another key behavioral insight regarding retirement savings involves framing. Both Blanchett and Wendel strongly advocate casting projections not in terms of the dollar amount employees can be expected to save but in terms of the retirement income that sum can produce. In other words, let the worker know he’ll receive $1,000 per month in retirement rather than that he will end up with $120,000 in savings. “There is good, solid behavioral research using randomized control trials that show…that your income level is much more real, much more vivid, much more motivating than, well, should I have $1 million or $1.2 million? Most of us can’t deal with those numbers in our everyday lives,” Wendel says. An elemental issue workers face is how much to save. But there are too many assumptions an employee must make to calculate that figure: the rate of compound interest, the inflation rate and when the worker and his spouse will retire, for example. This complexity is what drives inaction on the part of employees. “People … don’t even start things that they think they’re going to fail at — that they have no idea about, that they’re going to look like idiots at,” Wendel says. 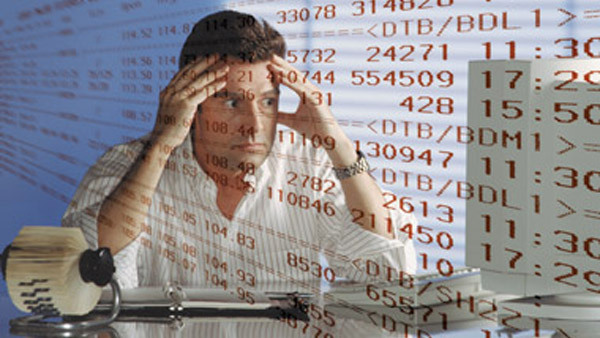 He suggests that retirement plans make those calculations based on baseline assumptions to overcome this natural anxiety. Prospectuses and open-enrollment tomes also add to worker anxiety, so in the same vein, Wendel argues for retirement plans to ask simple questions and aid in the number-crunching. “Just put it in human terms and not require detailed calculations … Don’t require everyday people to have a Ph.D. in financial forecasting,” he says.